We offer a premium, patient-first medical marijuana and CBD dispensary experience in Oklahoma. All of our marijuana & CBD products are Oklahoma grown & cultivated. 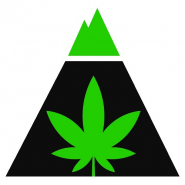 We only offer completely organic, pesticide-free, medical marijuana and CBD products to promote health and wellness. Our mission is to be an information hub for all of our customers, increasing awareness and smart-decision making when it comes to purchasing medical marijuana and CBD supplements in Oklahoma.